From timeless castles to historic parishes, grim tales of witch hunts and proud legends of bravery, Lancaster displays a rich heritage bursting with culture and intrigue. This university town offers museums, galleries, libraries and beautiful architecture for exploration. Visit the Maritime Museum and discover a nautical history of whaling, fishing and adventures at sea. 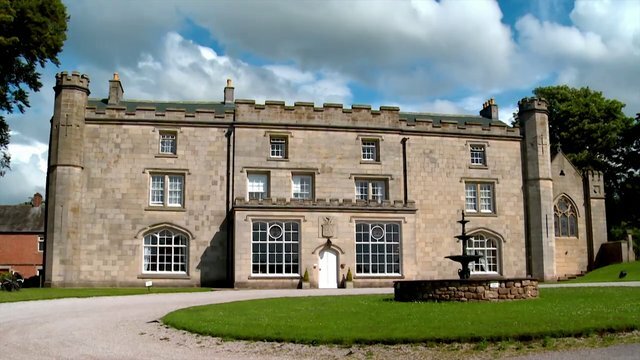 Explore the magnificent structural design of Shire Hall or venture down Pendle Witch Trail, the very same path traveled by those sent to trial for witchcraft in 1612.A vision of English countryside beauty, Thurnham Hall proudly overlooks a stunning estate of nearly 30 acres of charming green pastures. Boasting an elegant Jacobean Great Hall, this 12th-century country house combines its historic establishment with the modern comforts of convenience. With a fully-equipped kitchen, spacious living arrangements and comfortable furnishings, Thurnham Hall offers all the making of a home-away-from-home. Whether you prefer traditional accommodations in Thurnham Hall, the main house, or the more modern Thurnham Hall Tarnbrook, you’ll enjoy a quiet retreat at this grand medieval-style estate. Enjoy a grand, medieval-style range of studio, 1 and 2 bedroom accommodations. The studios offer spacious living areas and our 1 and 2 bedroom accommodations feature a living room complete with a comfortable sofa bed. All accommodations have spacious bathrooms, complimentary amenity kits and hair dryer, as well as fully-equipped kitchens that offer many conveniences including a coffee maker, oven, microwave, toaster and refrigerator/freezer. Additional amenities include telephone, iron/ironing board, heating and a modern living space with flat screen television and DVD player. Alternate Directions: There is a direct line rail network from Manchester Airport to Lancaster City Centre. From Lancaster train station you can either take the bus directly to Thurnham Hall Gates or a taxi. The journey from Lancaster is approx. four miles. Directions to Resort: (From Manchester airport, 60 miles away) Follow signs for the M6 North / Preston / Lancaster. Join the motorway and simply stay on until you reach junction 33. Exit here and follow signs for the A6 Garstang / Cockerham. After approximately 1 mile, take a right at a crossroads (signposted Cockerham) where there is a large beige house. Continue along the country lane for approximately 1.5 miles. Turn right at a T-junction at the end of the lane. Carry on to the T-junction and turn right at the Manor Inn public house. Continue for approximately 1.5 miles until you see a row of five terraced cottages on a sharp right and left hand bend. Begin to indicate right at this point and turn right into our driveway just before the red brick house. Directions to Resort: (From Liverpool airport)Follow signs for M6 North and M62 Manchester. Join the M62 and carry on until you see signs for M6 North (Preston). Join the M6. Exit at junction 33 and follow signs for the A6 Garstang / Cockerham. After approximately 1 mile, take a right at crossroads (signposted Cockerham) where there is a large beige house. Continue along the country lane for approximately 1.5 miles. Turn right at a T-junction at the end of the lane. Carry on to the T-junction and turn right at the Manor Inn public house. Continue for approximately 1.5 miles until you see a row of five terraced cottages on a sharp right and left hand bend. Begin to indicate right at this point and turn right into our driveway just before the red brick house. Flourish Foods invite you to dine with us at Thurnham Hall. Step into the warm and welcoming atmosphere of this family friendly restaurant and enjoy the eclectic menu that is sure to satisfy everybody’s appetite. Please let us know if you have any special dietary requirements which we will be happy to cater for. If you are celebrating a special occasion during your stay, we would love to help you make your day memorable so make sure you let us know! Hospitality Pack: Within your accommodations you will find a Diamond Resorts International® arrival hospitality pack consisting of tea bags, coffee and decaf sachets, sugar, sweetener, milk, salt, and pepper. Pets not allowed (except assistance dogs). BBQs are not permitted onsite. Free Wi-Fi is available at the property. Pet rules, charges and/or documentation: No pets except service dogs. Number of Floors: The resort is made up of the main house which has studios, 1 and 2 bed apartments within. The house is ground, first and second floor levels. There is no lift. The rest of the apartments vary greatly but none are really up that many stairs - some have internal split levels but staff on the resort can assist with any queries on specific units and stair features. The resort is fairly level although some pathways are uneven and gravel based. The ground is not entirely flat and there are some inclines. Areas with vehicular access have speed bumps. All steps have highlighted step edges. Ground floor - one step small step from the outside to the interior, easy to manage. Accessed via steps from bar although a ramp can be provided. Accessed via six steps via library – no ramp available. Ground floor, automatic doors, one level, accessible changing room with panic alarm, handrails to pool one step to the spa, pool hoist. The resort has 5 accessible parking bays: two in the main car park, two near Tarnbrook, and one in Woodland View. Parking bays in Tarnbrook are allocated to the wheelchair accessible apartments. Loading/unloading can be carried out directly outside the front door of the main house. And in case of need, there is always someone to assist. None of the accessible parking bays are located directly outside the accommodation. We offer two accommodations in total: 2 two-bedroom accommodations. We offer one accommodation in total: 1 two-bedroom accommodation. All accommodation has a variety of approaches and entrances including steps, ramps and uneven surfaces. Some accommodation are duplexes with an internal staircase. This is not a guided excursion but a great close by place to visit with all the family. Car parking facilities are found in different areas of the park to enable access to all the different parts of it. For instance there is a car park at the top of the park, making access easy for the Ashton Memorial, the café and the butterfly house. There are adapted toilet facilities placed all around the park. The terrain around the park is mostly tarmac making it easier for wheelchair users. There are double door entry spots to all the indoor facilities, including the butterfly house and the café. For access to the Ashton Memorial there is a wheelchair accessible lift to the right hand side of the memorial, with a "call for attention" button to operate the lift. Assistance dogs are welcome within the park. Unfortunately the park does not offer anything in particular to assist with the hearing impaired. Café staff as well as groundsmen are always around to give a helping hand when needed. No parking bay reserved for wheelchair access however there are amble parking spots with large bays. This is not a guided excursion but a great activity to do with all the family. The Lancaster Canal is easily accessible by all with plenty of car parking along the different points of interest, all with slopes down to the canal path. There is a more accessible Canal Boat on the Lancaster canal, used for excursions. Galgate marina has a lift chair making access onto the canal boat very accessible. The adapted canal boat is a wider boat with specially fitted toilet facilities including an adapted shower and lowered beds if needed for a longer journey. Assistance dogs are welcome on the canal boats. The canal tours do offer an interpreter for the hearing impaired as long as it is booked in advance. Staff at the marina as well as on the canal boat are always able to assist guests. There are reserved spaces for wheelchair users at Galgate Marina. This is not a guided excursion but a great close by place to visit with all the family. Plenty of car parking for less able customers is found at the front of the garden centre. Wheelchairs and mobility scooters are also available to borrow from the garden centre, free of charge. There are adapted toilet facilities in the main entrance as well as adapted toilet facilities within the restaurant/cafe. With the small exception of a small decking area outside the cafe, the garden centre has no steps making it very accessible for all. Even the outdoor plant area is fully covered, so that it can be explored whatever the weather. Widened isles have been created throughout the entire Garden Centre to accommodate assisted wheelchair users. With the widened isles as well as zero steps throughout the garden centre, Barton Grange is fully accessible for independent wheelchair users. Assistance dogs are welcome within the Garden Centre. They currently do not have anything installed to assist with the hearing impaired however are looking to install some induction loops into the store. Reserved accessible parking bay available. Local garden centre, all local supermarkets are accessible, downtown Lancaster shops are accessible. We can provide taxis that are accessible for the guests.